Marlene Ericksen, indeed has a loyal following including such notables as Academy Award winner, Gene Hackman who enjoys massage. 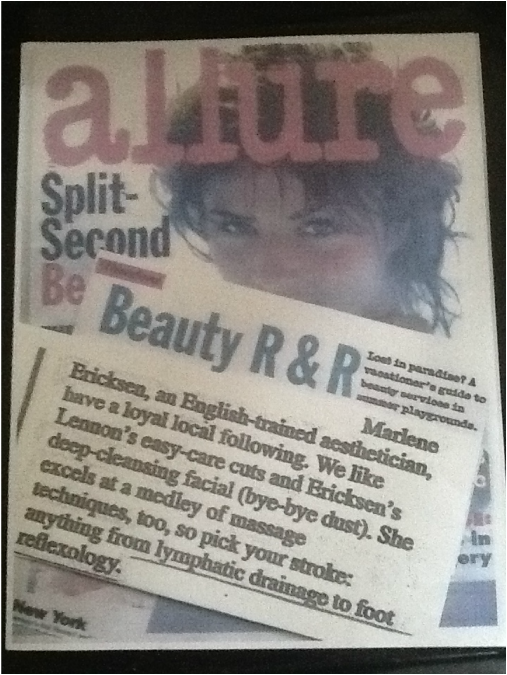 "We like Ericksen’s deep-cleansing facial (bye-bye dust). She excels at a medley of massage techniques, too, so pick your stroke: anything from lymphatic drainage to foot reflexology"